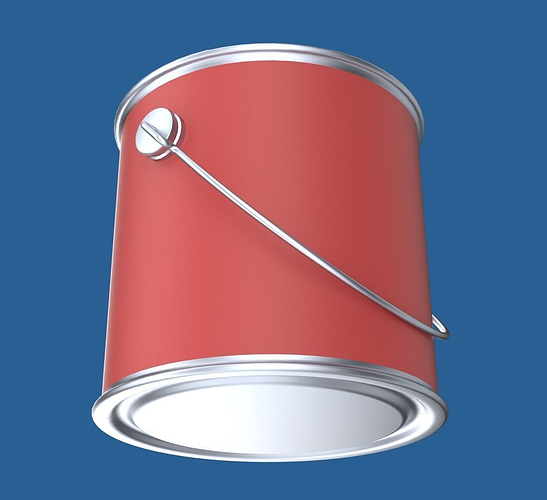 3D model of a paint can. The lid can be removed to reveal the paint can interior, and the label can be easily textured. Blender file includes simple Cycles renderer materials and procedural environment for lighting and reflections. I'm also for hire as a 3D (print) modeler â€” mail [at] metinseven [dot] com If you want to use one of the rendered images commercially, please get in touch, and I'll make a better rendering with transparent background for a low price. Thank you. If you need a different 3D file format, you can install the free Blender 3D tool and choose from several 3D file export options.